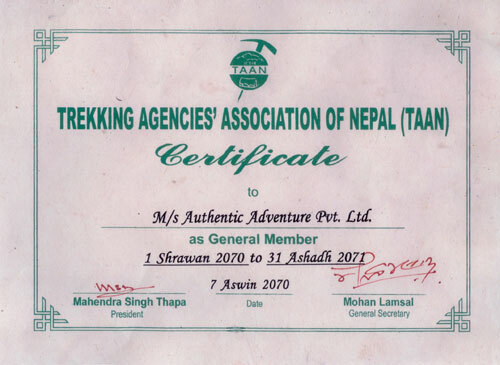 Authentic Adventures Pvt. 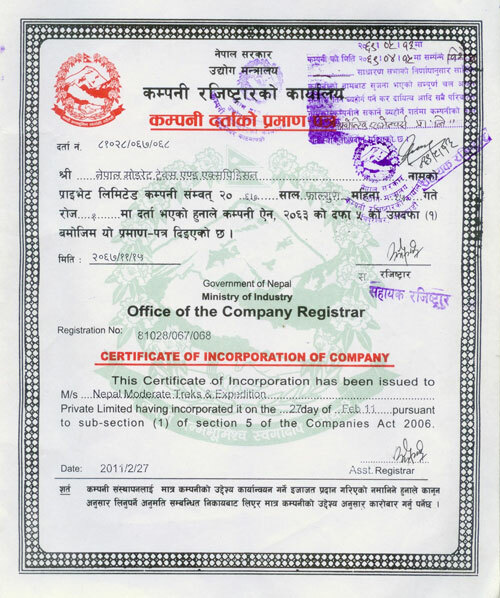 Ltd is a government authorized trekking agency in Nepal. 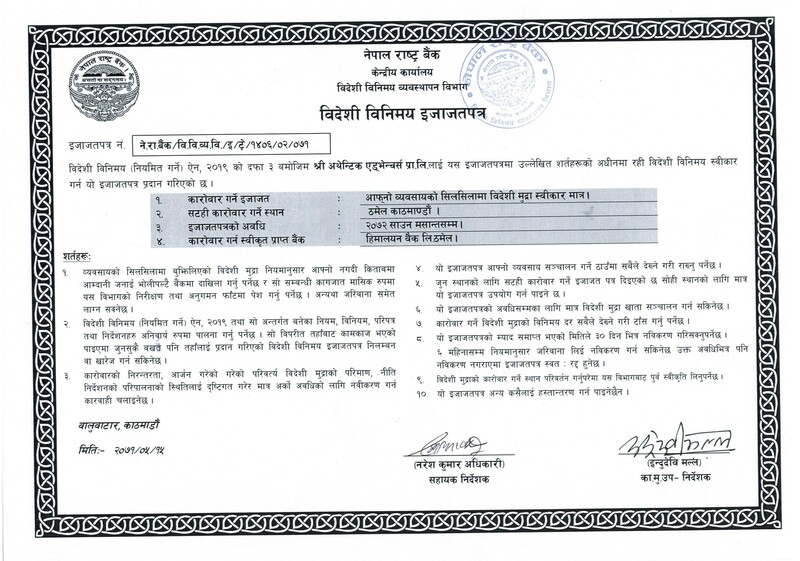 We have strictly followed all necessary legal procedures and obtained necessary licenses and certificates to be liable to operate travel services in Nepal. 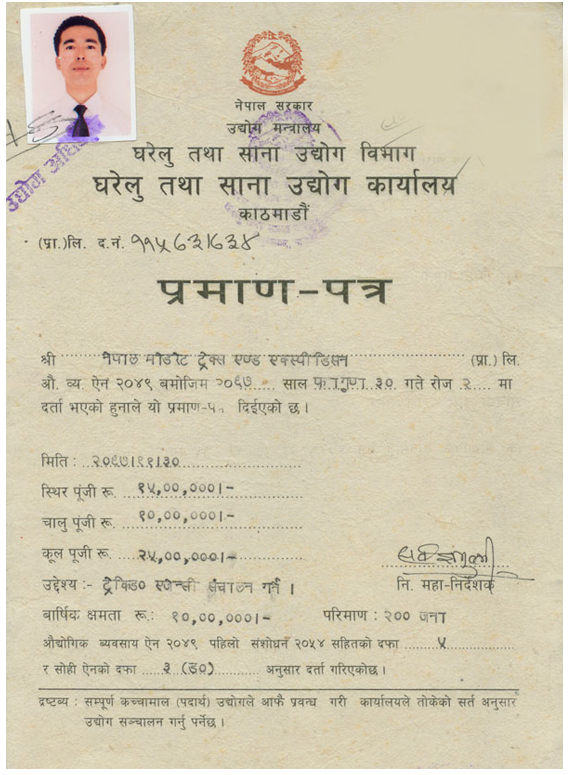 We are associated with tourism and trade related associations and abide ourselves with all their rules and regulations. 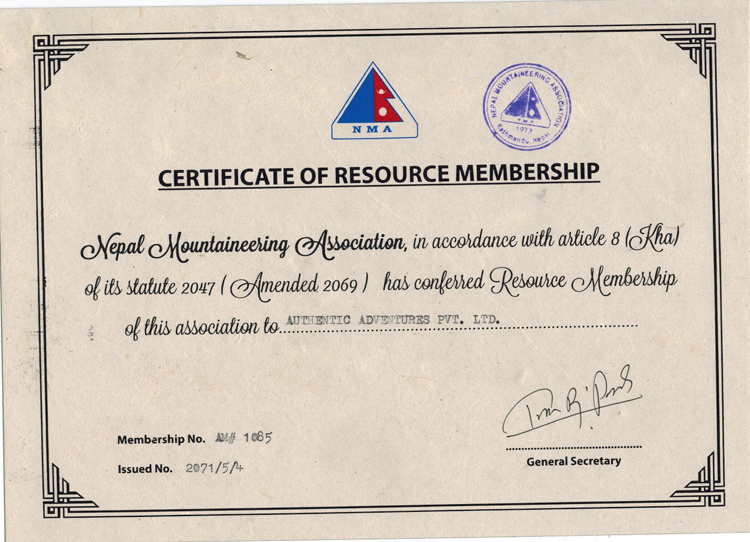 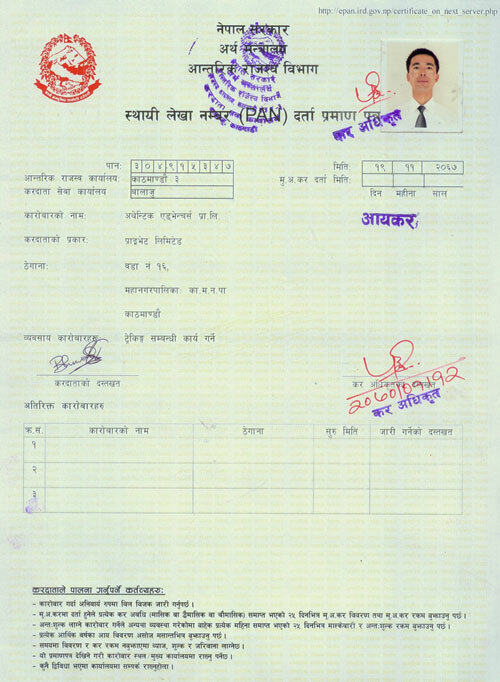 We are thus legally registered trekking agency in Nepal. 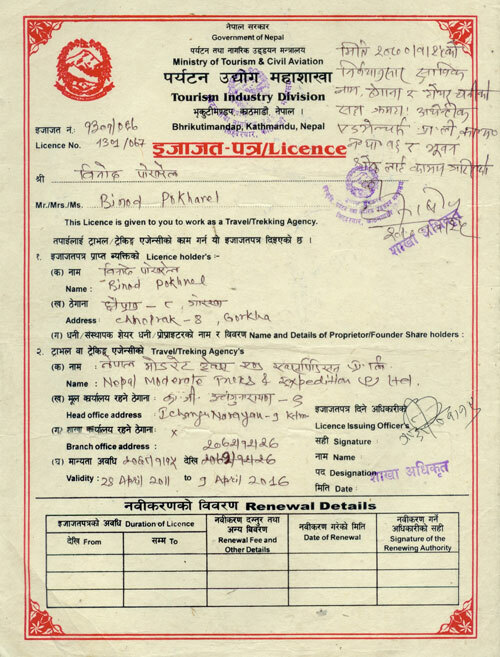 We highly recommend you to take your Nepal trip with one of the legally registered trek/ tour agency to avoid unexpected unpleasant situations and unnecessary hassles.